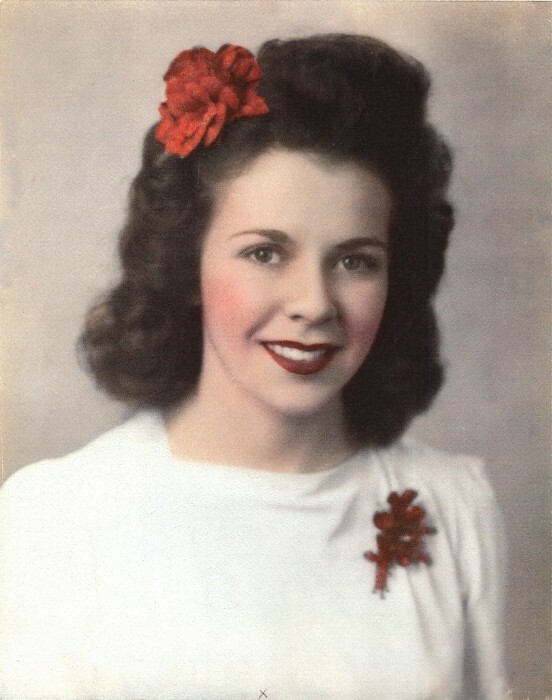 Mary Elizabeth Finch, 93, passed away on January 12, 2019 in Jacksonville. Mary was born in Philadelphia, PA to William Henry Earnshaw and Anna Louisa Himmerle Earnshaw on July 25, 1925. Life was difficult growing up in depression years. After high school graduation, she worked at Westinghouse Electric assembling military radios during WWII. After the war, she married Wilburn C. Finch, a Navy man from Henderson, NC on February 22, 1947. They traveled extensively until his retirement. One tour was at the U.S. Naval Base at Guantanamo Bay, Cuba (1961-1964). At the start of the Cuban Missile Crisis in 1962, all dependents were evacuated to the U.S. by military airplanes and ships. Weeks later, when the situation quieted, Mary and her children were on one of the first planeloads of dependents to return to the base. Mary showed a particular talent and considerable skill in several fields. She was a superb cook, painted, designed and built furniture, and enjoyed teaching others quilting and crochet. An active person, she remained motivated and independent until very late in life. She was preceded in death by her parents, her loving husband of 56 years, her daughter Wanda Finch Reeder of OR, her sisters Anna Earnshaw Blair of MD and Rita Earnshaw Taylor of AL, and her brother William Earnshaw, Jr. of NC. Mary is survived by her son Wilburn C. Finch, Jr. of Jacksonville, her sisters Helen Earnshaw Clymer of AZ and Shirley Earnshaw Lawson of MD, her grandson Jason Reeder of OR, nieces and nephews around the country, other relatives and countless good friends. The family requests in lieu of flowers, donations be made in Mary’s memory to Community Hospice Foundation, 4266 Sunbeam Road, Jacksonville, FL 32257.